An individual that avoids wasteful uses of taxpayer funds and promotes individual financial responsibility for personal needs. An individual that understands the free market, not government, should determine winners and losers. I believe that Idaho thrives when conservative principles are applied to our government and economy. My opponent claims to be conservative, but her votes speak otherwise. Over the past 16 years, she has voted for the State Health Exchange, the implementation and funding of Common Core, and raising our taxes. With these kinds of votes, and many more, she has supported the very waste she claims to seek out and eliminate. I’m running for Idaho Senate because I want a better future for our children and grandchildren. With my education and business experience, I will bring fresh ideas to the State Legislature. I will support real conservative solutions that push back against federal overreach and increased spending, and reduce taxes and regulations upon individuals and businesses. 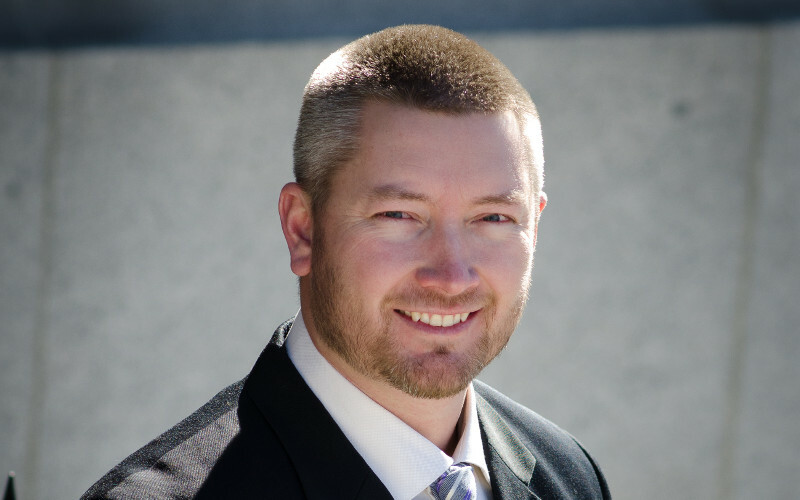 I was born and raised in the Treasure Valley, graduated from Kuna High School and earned my Bachelor of Science in Business Administration from Lewis-Clark State College. In 2006, I married my beautiful wife and we have 4 children that we homeschool together. We attend Mountain View Church of the Nazarene regularly as a family and enjoy being involved in various groups and activities within the church. For employment, we operated a Papa Murphy’s franchise in Boise for 8+ years before moving on to investing in real estate. While I was with Papa Murphy’s, I was awarded the Seven Seals Award from the Employer Support of the Guard and Reserve (ESGR), an office within the Department of Defense. 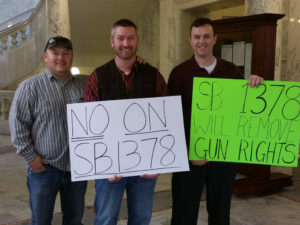 I am a Founding Member of the Idaho Second Amendment Alliance, a member of both the Second Amendment Foundation and Gun Owners of America and I train at the Front Sight Firearms Training Institute in Nevada. Parents are ultimately responsible for the education of their children and should be allowed to choose the form of education they feel best suits their family. Whether that means public, private, or homeschool, parents should be in control of what their children are learning. In recent years, Idaho has implemented Common Core in the public school system, which has diminished local control over curriculum and standards. I will continue to work towards a solution that removes Common Core from Idaho and puts the decision making authority back in the hands of parents and local educators. I support, defend, and promote the 2nd Amendment through active membership in pro 2nd Amendment groups, receive firearms training in my free time and encourage others to do so, as well. I do not support the idea that a law-abiding citizen should have to ask for permission to exercise a God given right to defend themselves, their family, or their property. Every citizen that plans on exercising their right to carry a firearm should receive as much training as they feel necessary on their own time and dime, not because it is required by law. Idaho needs fiscally conservative leadership. Roughly one third of our state budget relies on federal funds. With the national debt at $19 trillion and counting, depending upon an indebted federal government is not the road to a secure and prosperous future for our state. Our budget is bloated with unnecessary spending. Our tax rates are much higher than those of our surrounding states, making us less competitive. I will work to restore government to its rightful purpose by resisting increases in spending and promote the principle that Idahoans should keep the money they earn and spend it how they see fit. A proper role of government is to protect life and our lives begin at conception. I am the father of 4 children and will continue to fight for the right to life of every unborn child. The institution of marriage as one man and one woman was created by God before any other institution, including government. We have no authority to redefine it any other way. 62 percent of Idaho is controlled and poorly managed by the federal government. Without proper management and control of our lands, we cannot enjoy the economic benefits and security that should be afforded us. Last summer, we saw the need for common sense management of our forests and grasslands. The Soda Fire alone burned thousands of acres that ranchers were not allowed grazing access to with their cattle. I support the efforts being made to return control of Idaho back to Idahoans. Entrepreneurial freedom is the key to economic sustainability. New businesses in Idaho must go to at least seven different governmental agencies to get started, while an individual only has to visit a single agency to apply for public assistance. Idaho needs to streamline the process for entrepreneurs to start a business and get rid of unnecessary regulations that burden businesses. By doing so, Idaho will be much more competitive in attracting businesses that offer higher wages and encourage individuals to pursue their own dreams. The Governor and Legislature must protect Idahoans by exercising their authority to prevent unevaluated refugees from being placed in Idaho. Idahoans are friendly and charitable, but the safety of the people must come first. Please make checks out to Zach Brooks for Idaho. If you would like to volunteer to assist in my campaign or if you have any questions, comments, or concerns, please send an email to BrooksforIdaho@gmail.com or fill out the form below. I look forward to hearing from you.